Zuckerberg called it "the most accessible VR headset yet." 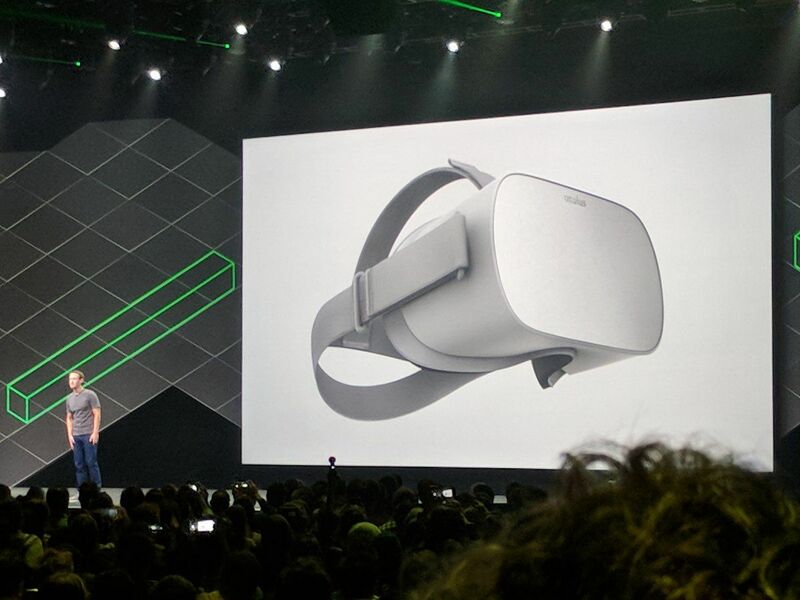 At the Oculus Connect 4 keynote, happening now in San Jose, Facebook CEO and founder Mark Zuckerburg just unveiled a device that could make virtual reality (VR) technologies more accessible. Introducing the Oculus Go: a standalone VR headset that won’t cost you an arm and a leg. At only $199, Zuckerberg called it “the most accessible VR headset yet.” Compared to the Oculus Rift, which costs about $600, the Oculus Go is undeniably inexpensive. Of course, at that price, it won’t offer you exactly the same VR experience. The Oculus Go will allow you to spin around while in virtual reality but not move around freely. The Oculus Go is scheduled to ship early next year, but dev kits for VR developers are expected to be available by November — and Facebook is encouraging developers to give it shot. Hugo Barra, Facebook’s VP of VR, said that it’s “hands-down the easiest way for developers to get involved with VR.” The Oculus Go comes with a “fast-switch” WQHD LCD screen, wide-field lenses, and spatial audio. It is lightweight and “feels incredibly soft to wear,” Barra said. Further details about the device’s specs are still to come, but one thing’s for sure — the Oculus Go could open up VR technology to a wider market, as well as free them from relying on Samsung or others for VR gear.